The modern architecture of high rise buildings in the Financial District. The high rises include the Toronto Stock Exchange building. 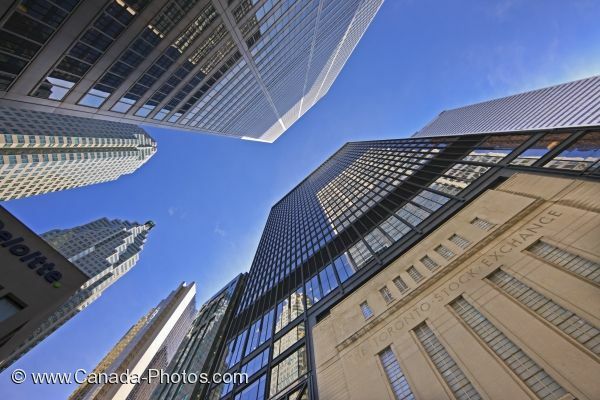 This upward view shows the extreme height of the buildings in the Toronto-Dominion Centre. Toronto Stock Exchange and other high rise buildings in the Financial District and Toronto-Dominion Centre of downtown Toronto, Ontario, Canada.